It's been a hot one today, the mercury hit 40 degrees (celsius), and after an intense amount of watering the outdoors everything, it was time to spend the day eating cold icy things. Think "Baking Day" but all icy recipes! I recently had a "Mango Lassi" at a local cafe, so decided to re-create it at home, since I had mango slices and fresh yogurt that we make weekly. 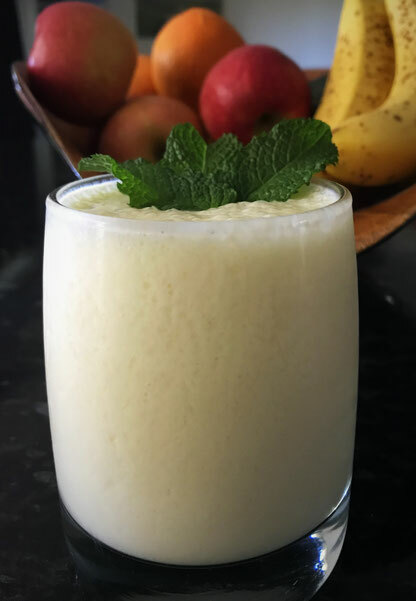 A Mango Lassi is traditionally an Indian yogurt based smoothie or milkshake, but I have also seen them made with coconut yogurt, which makes them vegan. Traditionally you can also add cardamon spice to the shake if you have it in your pantry. 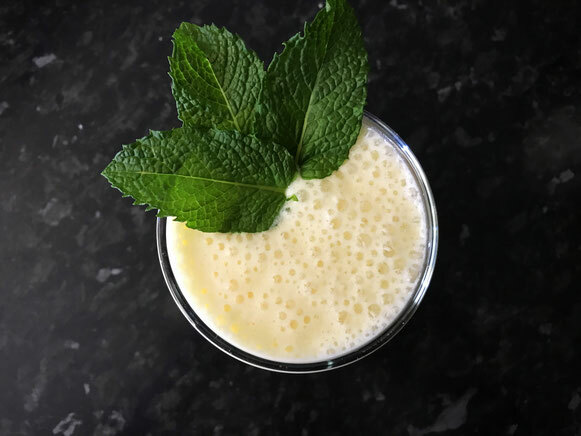 I have used our local Hill Top Hives honey to replace sugar in the recipe, ice cubes add froth to the shake and mango slices ensure the drink is velvety smooth. This recipe contains plenty of smoothie for two people, simply double the recipe for a little crowd of friends. Add the mango slices and ice to the blender and blend till smooth and creamy. Add the rest of the ingredients and blend until smoothie consistency. 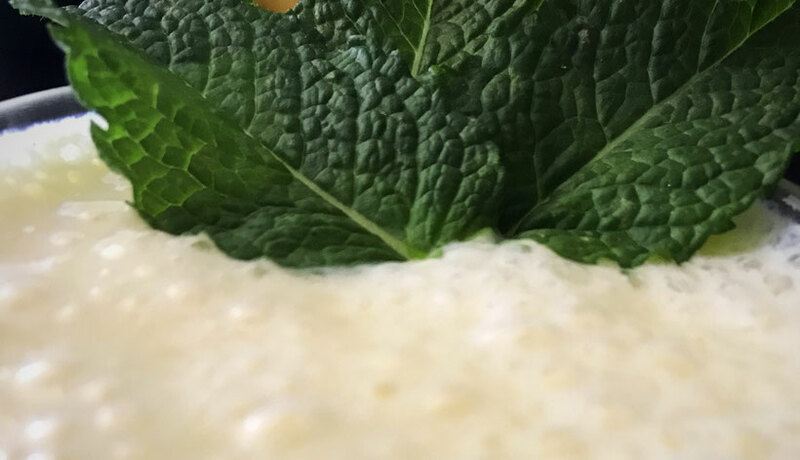 Add mint leaves as a garnish.